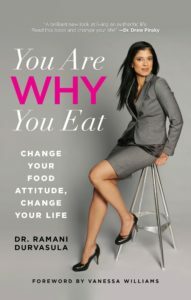 Pre-Order Dr. Ramani’s New Book Today!!! 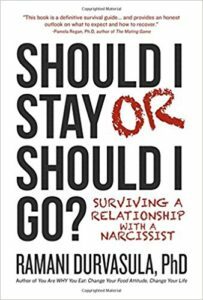 It’s time to take our lives back from a world of narcissism, entitlement, and toxic relationships. 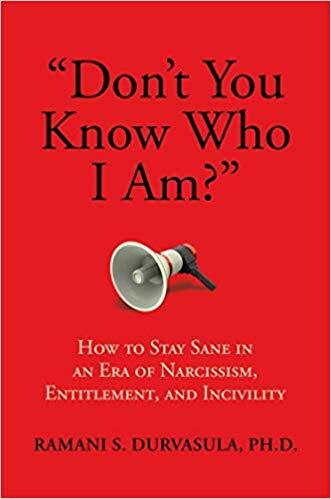 “Don’t You Know Who I Am?” has become the mantra of the famous and infamous, the entitled and the insecure. It’s the tagline of the modern narcissist. Health and wellness campaigns preach avoidance of unhealthy foods, sedentary lifestyles, tobacco, drugs, and alcohol, but rarely preach avoidance of unhealthy, difficult or toxic people. Yet the health benefits of removing toxic people from your life may have far greater benefits to both physical and psychological health. We need to learn to be better gatekeepers for our minds, bodies, and souls. Narcissism, entitlement, and incivility have become the new world order, and we are all in trouble. They are not only normalized but also increasingly incentivized. They are manifestations of pathological insecurity—insecurities that are experienced at both the individual and societal level. The paradox is that we value these patterns. We venerate them through social media, mainstream media, and consumerism, and they are endemic in political, corporate, academic, and media leaders. There are few lives untouched by narcissists. These relationships infect those who are in them with self-doubt, despair, confusion, anxiety, depression, and the chronic feeling of being “not enough,” all of which make it so difficult to step away and set boundaries. The illusion of hope and the fantasy of redemption can result in years of second chances, and despondency when change never comes. It’s time for a wake-up call. It’s time to stem the tide of narcissism, entitlement, and antagonism, and take our lives back.